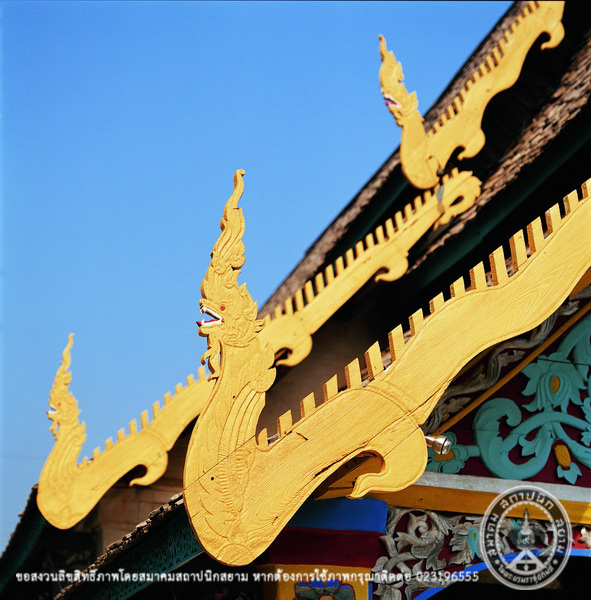 The Vihara (The Assenbly Hall) of Wat Ban Kau was built in 1934 and completed in 1936. 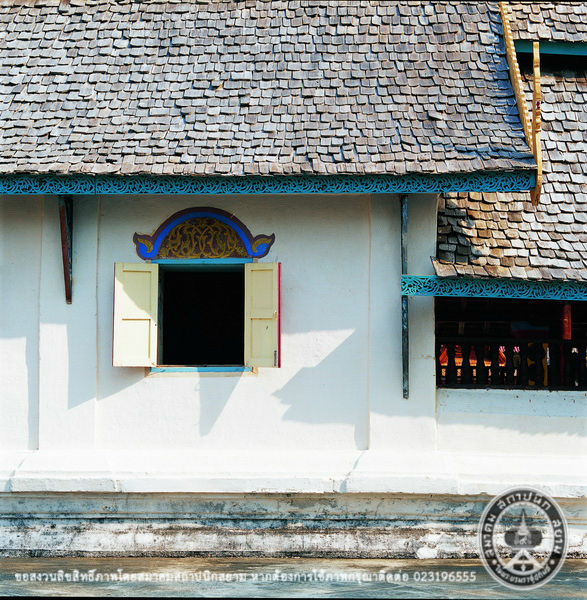 It is built as a brick masonry structure with wooden roof top and traditional wooden roof tiles (Pan Kled). This style of architectural is extremely rare. 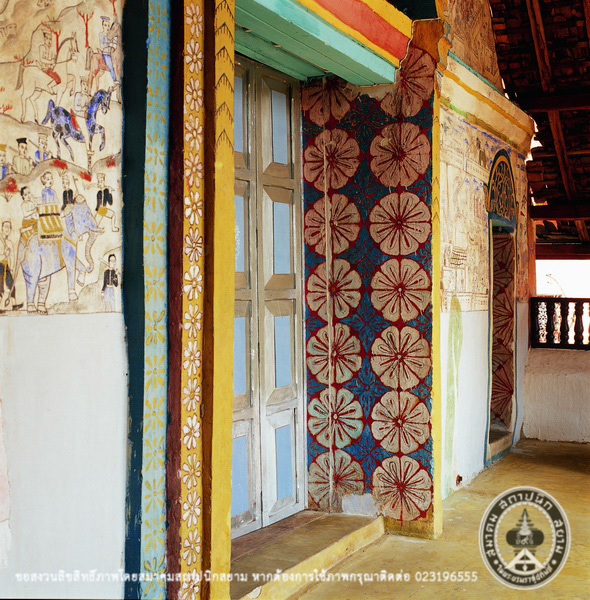 The interior wall of Vihara is decorated with mural paintings depicting the Vessantara Jataka story (the tale of the last rebirth of the Bodhisattva). The painting style is contemporary with the 70 years ago art style. 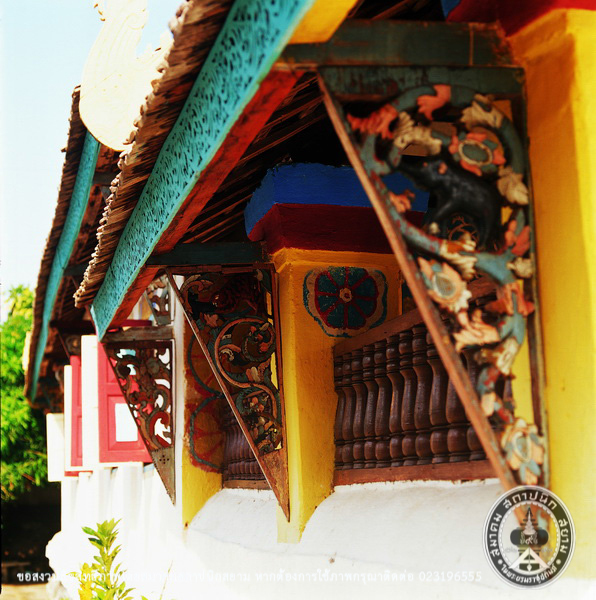 It seems these beautiful paintings were created by local Lampang crafts. 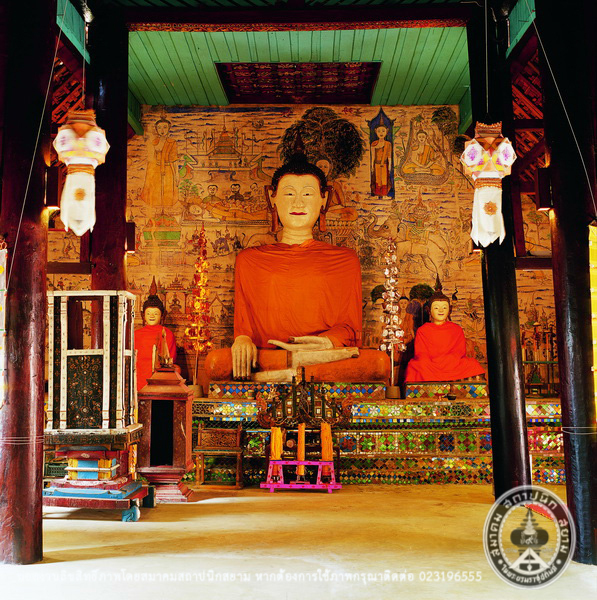 This Lampang crafts, which has not been studied so much, expresses the community in the past as well as their society and their beliefs. Such as the painting of wicked men that died and were going to hell on the side interior wall, but the guardian of the hell looks like King Chulalongkorn (King Rama V). Another example is a beauty queen wearing dress and hair like in the fashion of the 70’s or the portraits of monks, novices and people visiting the temple. 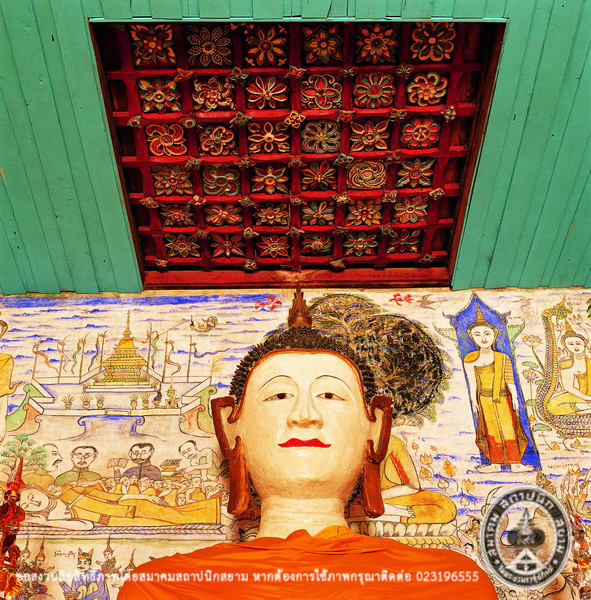 When Vihara was getting dilapidated, Vihara and the wall painting of Wat Ban Kau conservation project had been carried out by cooperation between Faculty of Fine Arts of Chiang Mai University and NaresuanUniversity. Professor Vithi Phanichpan was director of the project. 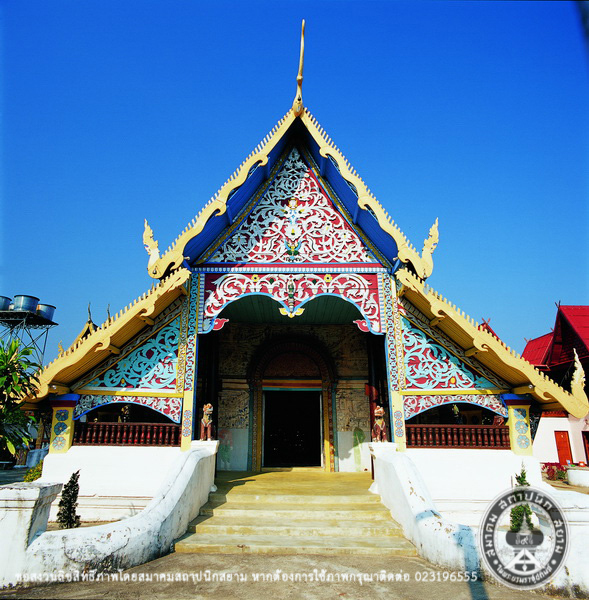 The project received a donation from The American Ambassador of Thailand because the importance of northern traditional architectures and arts should be supported.